Want to buy a right headlight, foglight, and side marker for a 2006 997 C4S. I also need an aero ( gt3 style bumper). I should have all these items. please confirm Xenon or standard headlight. Which bumper cover? front or rear? I am assuming rear, you have a center exhaust? Hello, I should have all these items. please confirm Xenon or standard headlight. Which bumper cover? front or rear? I am assuming rear, you have a center exhaust? Front bumper cover. It's a gT3 conversion bumper that fits my 06 C4S. Great, I need the front GT3 conversion bumper to fit a 06 997 C4S. Interested in a 997.2 gt3 cup front bumper? I have cup wheel flares for it to. If you want an amber colored front side marker, I have one sitting around I can send you for free. I can send it for normal cheap mail, no worries about shipping cost. It's from a 997.1. Thanks for the offer on the side market, but I need the clear one. The right xexon headlight is what I need. Interested in a 997.2 gt3 cup front bumper? I have cup wheel flares for it to. What type of headlight? I don't think that will fit my 06 C4S. How much do you want for the headlight, fog light and clear side marker. Please confirm for a 997. I don't think that bumper will fit my 997. 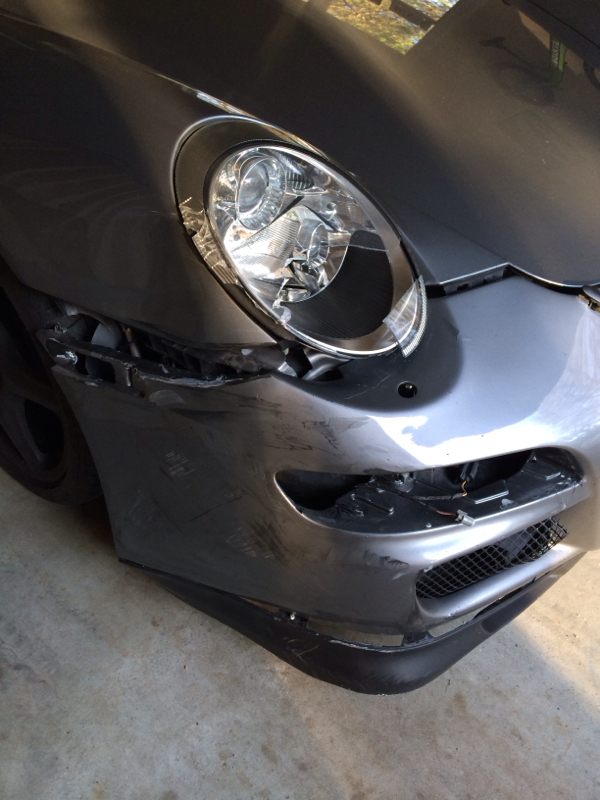 Do you have a R headlight, fog light and clear side marker for a 997.1? If so, how much? however, the 997.2 Cup car bumper cover is exactly the same as the stock piece except has the slit for the track tow hook which can be used or filled. This is the 997.2 upgrade bumper too which will need upgraded LED lights and some oil cooler shroud adjustment which is easy.